Plant PCR at Citizen Science Lab. Photo by Ben Filio. Get ready for nine days of thinking, making and doing when Remake Learning Days returns to Pittsburgh. 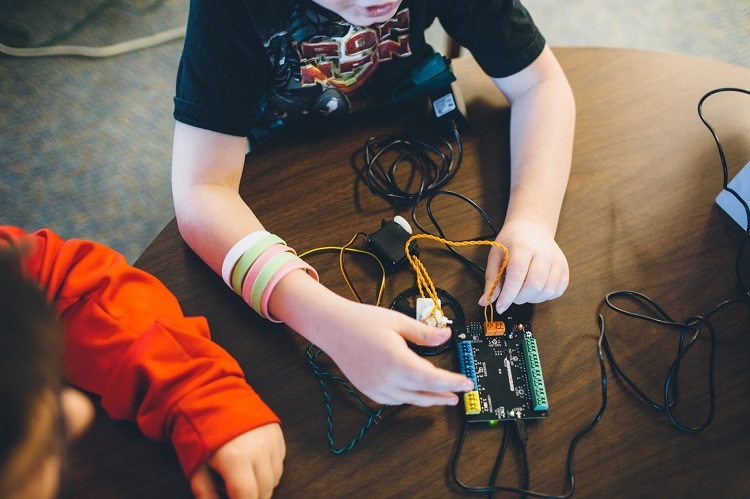 Now in its third year, Remake Learning Days explores the future of education through hands-on, technology-infused activities. From May 17-25, organizations throughout Southwestern Pennsylvania and West Virginia will offer more than 270 free or low-cost engaging events for youth, families and educators. This cerebral celebration will focus on science, technology, engineering, the arts and math — or STEAM learning — with activities that dive into the worlds of robotics, rocket design, electronic music and more. Events will take place at schools, museums, libraries, community centers and other spaces throughout Allegheny, Westmoreland, Washington, Greene, Fayette, Beaver, Butler and Lawrence Counties. “We are excited that this festival of eye-opening, hands-on learning experiences for all youth is empowering parents and caregivers to help their children dream big for an unknown future,” says Remake Learning Days producer, Dorie Taylor. Much like last year, the events are organized according to several themes — arts, maker, outdoor learning, science, technology, youth voice, and professional development, which covers STEAM-inspired learning for educators. 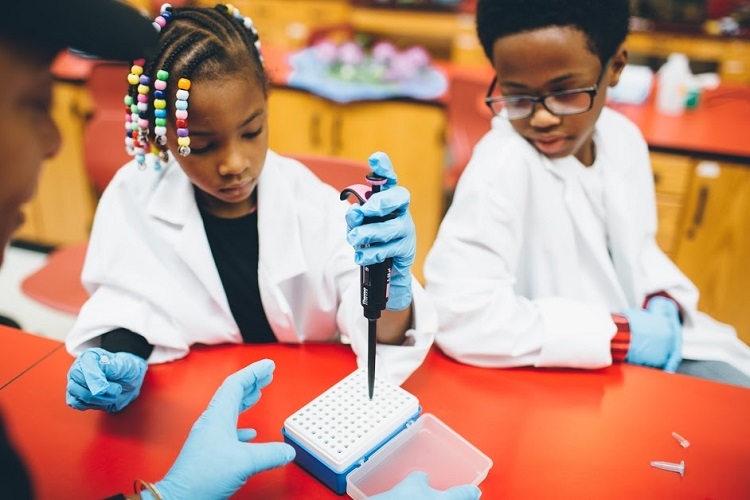 In Pittsburgh, you can conduct crazy experiments at the Mad Science Lab or attend the GreenSTEAM Festival at the Oasis Project of Bible Center Church in Homewood, where you’ll learn about conservation, sustainability, gardening, healthy food, and environmental stewardship. Imagination Station at Remake Learning Days. Photo by Ben Filio. Kids will also get the chance to go behind the camera with the Steeltown Film Academy, a part of the Steeltown Entertainment Project, which teaches filmmaking to local teens. Steeltown’s entire Youth and Media Program was born out of the first iteration of Remake Learning Days (then called Kids+Creativity) when the group launched “Take a Shot at Changing the World,” their 2011 viral video contest about Jonas Salk developing the first polio vaccine. 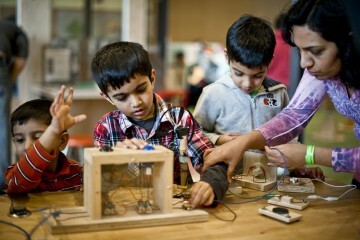 Those are just a few among the diverse array of workshops, talks, open houses and more happening during Remake Learning Days, and hosted by organizations including the Carnegie Libraries of Pittsburgh, Pittsburgh Botanic Garden, Pittsburgh Cultural Trust, Pittsburgh Center for Creative Reuse and many more. New this year is RLD Community and Teacher Champions, a program where community leaders and pre-K-12 teachers will serve as ambassadors for the festival and answer questions families may have as they choose which events to attend. Remake Learning Days begins with a kickoff breakfast and public day on May 17 at the Intel International Science and Engineering Fair (Intel ISEF), an event touted as the world’s largest international pre-college science competition. Come to the David L. Lawrence Convention Center for light breakfast foods and learning opportunities, and tour the Intel ISEF, where 1,800 student finalists from around the globe show off their research in 22 STEM fields. Spots are limited so register now. View a schedule of Remake Learning Days events here.